Away from fresh meat, what are the growing meal opportunities and how can we position lamb to grow in these markets? How can lamb defend its current position in the fresh meat market? What sections of society are cooking with fresh lamb and who isn’t? What age groups are using lamb? The diversity of the UK population is always changing and there is growth amongst these sectors that are big lamb consumers, how can lamb target these consumers? If 54% of households are purchasing once a year what can we do with these existing customers to get them to buy once or twice more? Is enough currently being done to protect lamb for the future or will we see lamb decline to become more of a speciality niche product? DPM are passionate about this topic, the lamb farmers who depend on consumers purchasing lamb and the sustainability of British agriculture. 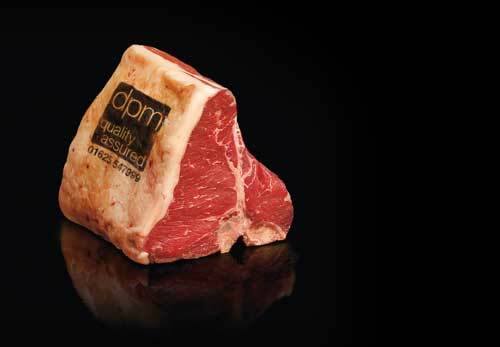 Here at DPM we do not see lamb as a commodity product and controversially perhaps do not see price as the major problem. We are tired of hearing lamb is too expensive and it needs to be cheaper! How on earth are farmers going to make any money selling lamb if market pressure us dictating it needs to be cheaper. We think the word “price” should be banned when it comes to lamb! It’s the “value” of lamb that should be the key word for consumers and the message that needs to be communicated to them. Positioning lamb as great value, tasty, versatile, a favourite for consumers in and out of the home. Encouraging farmers to get the best value for lambs at market by producing livestock to a specification the market demands. Processing to provide better value for the carcase through NPD and enhanced butchery. We need to develop a new strategy and change the current image of lamb before it’s too late. PLAN – To engage lamb in the convenience, ready meal, kitchen ready market in both the retail and foodservice sectors. We would love to hear your thoughts on lamb. Please feel free to get in touch with us to get your views across and share your ideas on how we can get lamb back on the menu in restaurants and back in the kitchen at home.